Artfully remodeled Craftsman style Town Home in North Evergreen minutes to I-70, restaurants, shopping, schools and a park with trails! Enjoy main level living w/open layout, hickory wood floors, slab granite counters with large kitchen island, knotty pine alder cabinets, GE no smudge appliances and breakfast nook. Mstr Bdrm wall to wall carpet, walk in closet and bonus closet, 5 piece master bathroom w/ custom sliding barn door. French doors lead to the light and bright office overlooking a field and Evergreen Parkway. Designed for all bedrooms to include an ensuite bath. 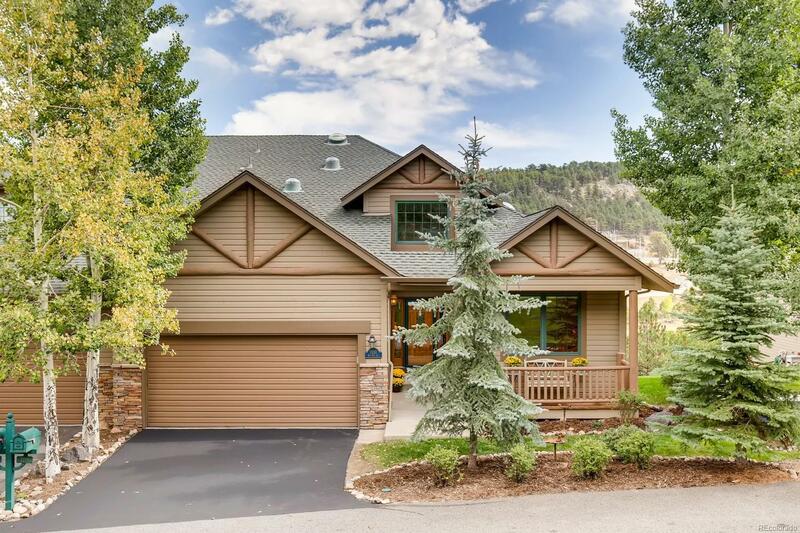 Lower level is perfect for entertaining or long time guests: includes large new kitchen, living room, two bedrooms with ensuite baths, sauna, covered patio and doggie door to fenced dog run. $10,000 stipend from HOA to replace deck & frt porch. All decks in HOA area being replaced. Please see disclosures for more details.